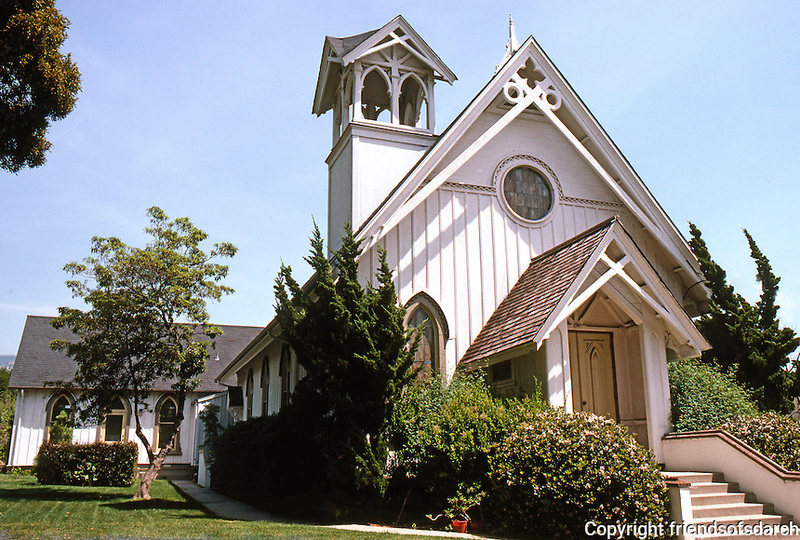 St. Mark's Episcopal Church, Santa Barbara CA. 1875. 2020 Chapala. The tall steeple now missing from the tower.